Spotify is employing a new weapon in its fight to keep you using the streaming music service. Buoyed by the success of Discover Weekly, Spotify is launching Daily Mix, a constantly evolving mix of new and old earworms. If you like Daily Mix, and you want to work on things like Daily Mix (or anything we do at Spotify), hit me up. Hiring like crazy over here! Your Daily Mix is a playlist (or playlists) containing all of your favorite music, along with some other artists and tracks Spotify thinks you’ll enjoy. Daily Mix isn’t delivered daily, instead it’s a constantly updating playlist intended to be listened to daily. The more you listen, the more your Daily Mix changes, updating every 24 hours to reflect your evolving listening habits. 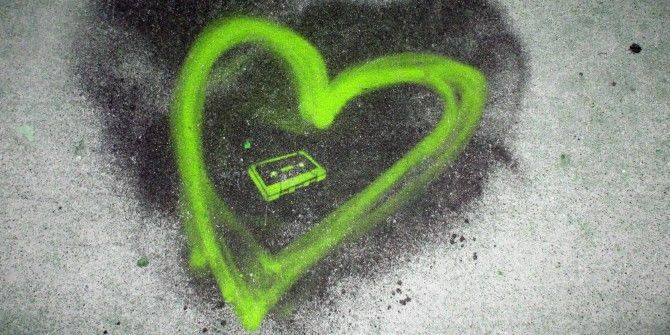 If you find a song you particularly like you can Heart it to add it to your collection. And if you find a song you particularly dislike you can Ban it from appearing in the future. When Spotify first launched it was sold as a “Here are more songs than you could ever hope to listen to, so choose one and press Play” type scenario. But while that remains the core of the Spotify experience Streaming Music Secrets: How To Get More Out Of Spotify Streaming Music Secrets: How To Get More Out Of Spotify As brilliant as the standard Spotify experience is, it can be improved via the use of websites and apps, transforming an already excellent service into an unmissable one. Read More , the company is clearly adding some algorithmic curation into the mix. It’s unlikely even Spotify itself realized how popular Discover Weekly would be with users. In its first 10 months, about 40 million users (out of 100 million in total) tried it. And huge swathes of users listen to at least 10 of the songs in their curated playlists. Spotify’s automagic playlists Discover New Music with Spotify's Automagic Playlists Discover New Music with Spotify's Automagic Playlists Spotify has recently released several new ways of generating unique playlists that will help you discover awesome new music. We're here to guide you through these automagic playlist makers. Read More therefore benefit everybody involved. Spotify keeps users engaged longer, artists up their plays, and users get to let Spotify do the work for them. Everyone’s a winner! Spotify’s Daily Mix is available right now to both free and paid users in the latest version of the Spotify app on Android and iOS. The feature is coming to other platforms in the near future. Brand new users need to listen to music for two weeks before gaining access to their own Daily Mix.